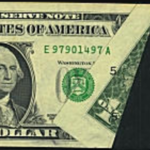 Joe C. writes: I have a number of proof sets which are now in U.S. Mint cellophane all have COA. Would it hurt collectability to remove them from their cellophane and put them in an airtite display case ? Makes em look nicer. I do not think that removing proof sets from the original film reduces their value. Look at all the slabbed proofs that are encapsulated. It doesn’t seem to hurt their value. There will always be collectors that consider original packaging vital but often the original packaging doesn’t preserve coins very well. I once opened an original box of 1936 proof sets that had never been removed from the original mailing. The owner had simply taken the mailing box that contained the proof sets and put them in a safe deposit box. It was like opening a treasure chest. Unfortunately, many of the coins were toned to black. 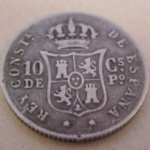 The presence of so much sulfur paper had an adverse affect on the coins. If you do place the coins in holders, be careful not to touch the surface of the proofs, fingerprints will certainly devalue the coins. You might consider non-powdered latex gloves (usually available at your local pharmacy by the box) to handle the coins successfully. You might also want to preserve the packaging separately from the coins and passed that material on when the coins are sold. 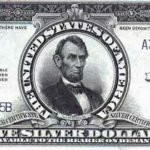 Saving the original packaging may be much more important for a specific group of coins: the Proof U.S. American Silver Eagle and the Proof editions of U.S. American Eagle and Buffalo gold coins. These have been highly promoted for inclusion in government approved retirement plans (401Ks, etc.). However, the “rules” (or whatever) require that the coins be in original Mint packaging, including the COA (Certificate of Authenticity). 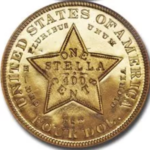 While these coins are frequently taken out of their packaging and “slabbed,” current “Dealer Buy Price” premiums favor the coins as they came from the Mint. 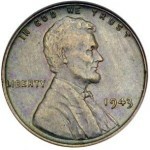 What or who determines a coin’s current price?